As the UK Distributor for Arnott we are pleased to introduce their completely rebuilt, OE Mercedes-Benz Right Front ABC (Active Body Control) shock for the S-Class. Each Mercedes shock is painstakingly disassembled and rebuilt from the ground up. Arnott has worked directly with one of the largest seal manufacturers to design a nearly indestructible polyurethane seal you can expect to last for many years. The Arnott-designed Mercedes suspension part is not only more durable, it’s also much more affordable! . An additional core deposit is added to the purchase price and will be refunded once the used part is returned to us. 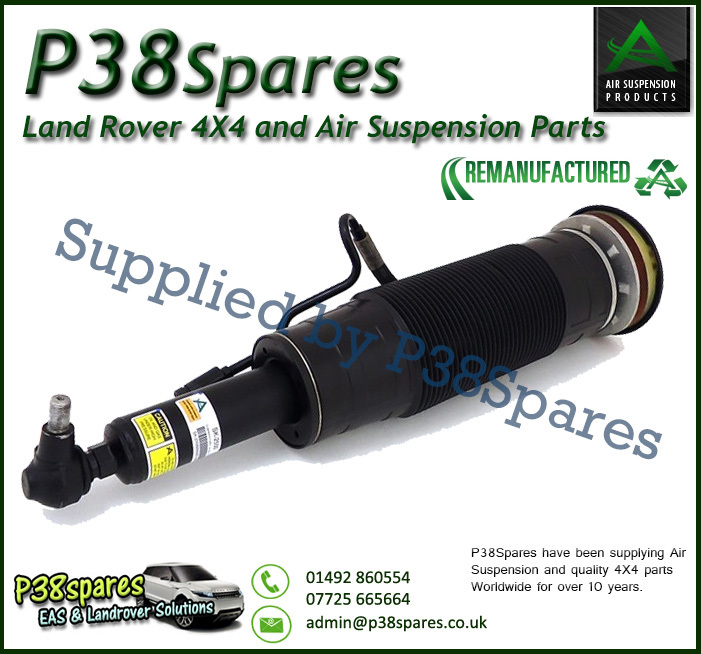 Please Note: The sale price includes a £200 core deposit charge - in order to get the core deposit back all you need to do is send back your used original air suspension strut/spring. How can I tell if my Mercedes S-Class is equipped with AIRMATIC®? AIRMATIC® is a Mercedes trademark for air suspension. If the car is equipped with AIRMATIC, you will have obvious air lines leading from the top of the shocks. 4MATIC® is a Mercedes registered trademark for all-wheel drive. Usually, if the vehicle features 4MATIC®, there will be an emblem on the right side of the boot/back of the vehicle. How can I tell if my Mercedes S-Class is equipped with ABC? ABC stands for Active Body Control. ABC was a rare option on all S-Class models. ABC, however, was standard on all S-600, S-55, S-63, and S-65 models. You can tell which suspension you have by opening the bonnet of your car and examining the top of the shock absorber. You will have small black electrical plugs leading into the top of both shocks. ADS stands for Active Dampening System. ADS is standard on all GL550 and ML vehicles equipped with AIRMATIC. ADS was an optional extra on all other GL models such as the GL320, GL350, and GL450. You can easily check to see if your vehicle is equipped with ADS by examining the AIRMATIC control buttons located on the dash panel situated below the Air Conditioning controls. If you have ADS you will see a button where you can chose "SPORT or "COMF"
If you don't have ADS you will just have a blank button. AMG vehicles usually have a rear logo/badge with two numerals, as opposed to regular Mercedes-Benz vehicles which have three. AMG is a high performance division of Mercedes.